Material: All parts are made of 6061 – T6 high strength aircraft grade aluminum material. Dimension: O.D. : 5” x 16” length. Wall thickness ¼ inch. Each unit comes with a 2 “½ BRZ fire hydrant swivel on the inlet side. The discharge has a built in diffuser with two built in diverter screens and diffuser plate with ¼ inch perforated holes. Cup dimension: O.D. : 3”x 3“½ length. Wall thickness is 1/8 inch. – Each unit comes with one 2” ½ inch 6061 – T6 High strength aircraft grade aluminum screen material which can be removed from the inlet side if needed to achieve higher flows. Each screen has 3/8 inch perforated holes. 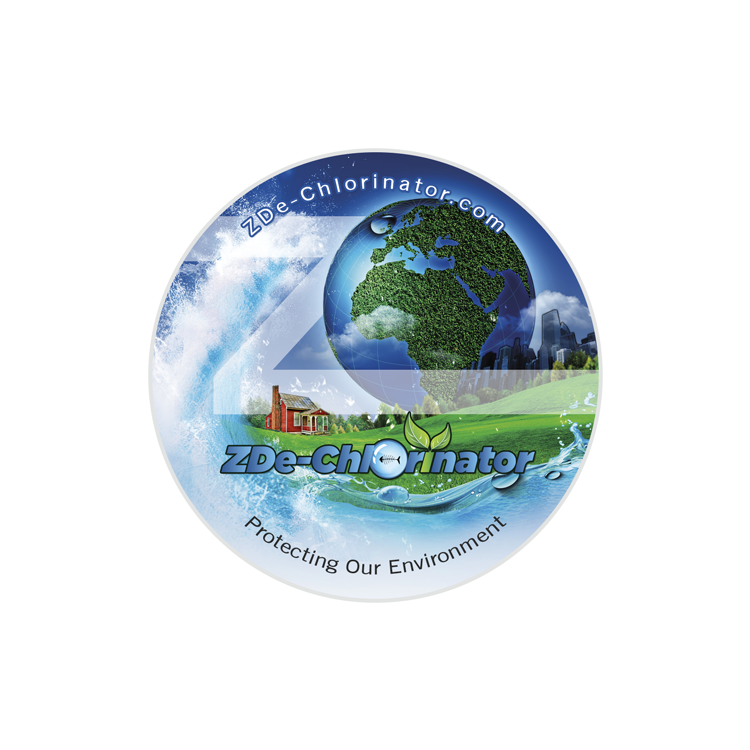 – ZDe-Chlorinator uses Vita-D-Chlor tablets or standard neutralizing dechlorination tablets. Dimension: O.D. : 4” x 6” length. Wall thickness ¼ inch. 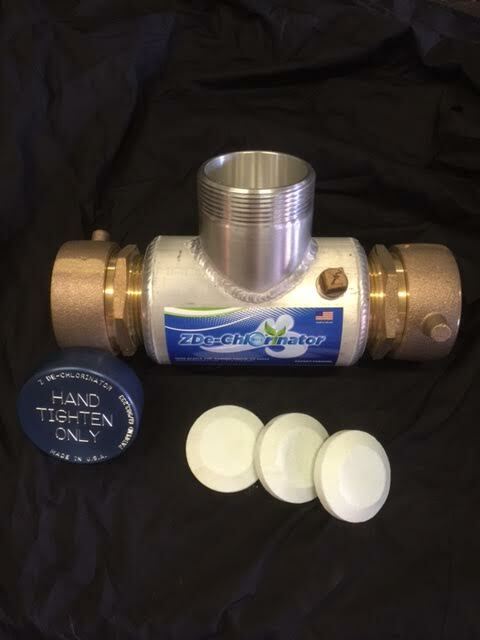 Each unit (upon request) comes with a 2″½ BRZ fire hydrant swivel on the inlet side and discharge sides for an additional fee. The inlet and discharge side are 2″ – 1/2 inch female NPT thread. Cup dimension: O.D. : 3”-½ length. Wall thickness is 1/8 inch. Each unit is made of 6061-T6 High strength aircraft grade aluminum material. – Each unit comes with one 2” ½ inch 6061 – T6 High strength aircraft grade aluminum screen material which can be removed from the inlet side or discharge side if needed to achieve higher or lower flows. Each screen has 3/8 inch perforated holes. 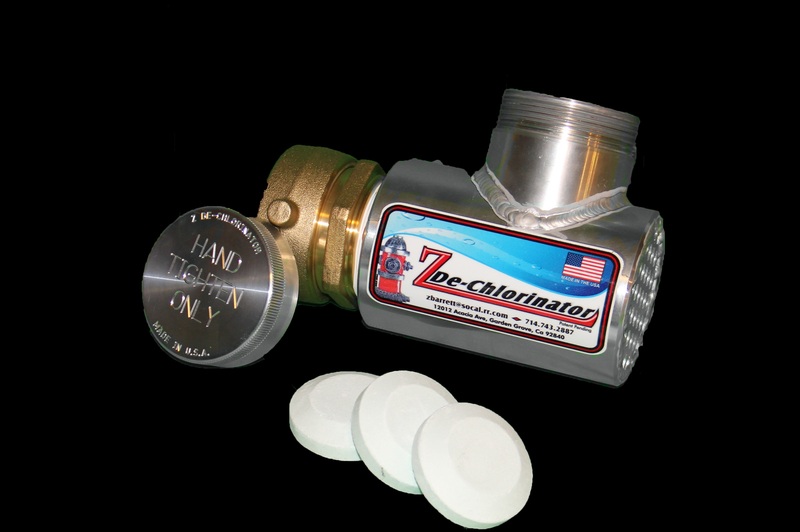 – ZDe-Chlorinator uses 2″1/2 inch Vita-D-Chlor tablets or standard neutralizing dechlorination tablets. – The ZDe-Chlorinator will meet or exceed your Regional Water Quality Board discharge levels of less than 0.1 PPM/MGL if the system water is no more than 4 PPM free or Total chlorine residual.